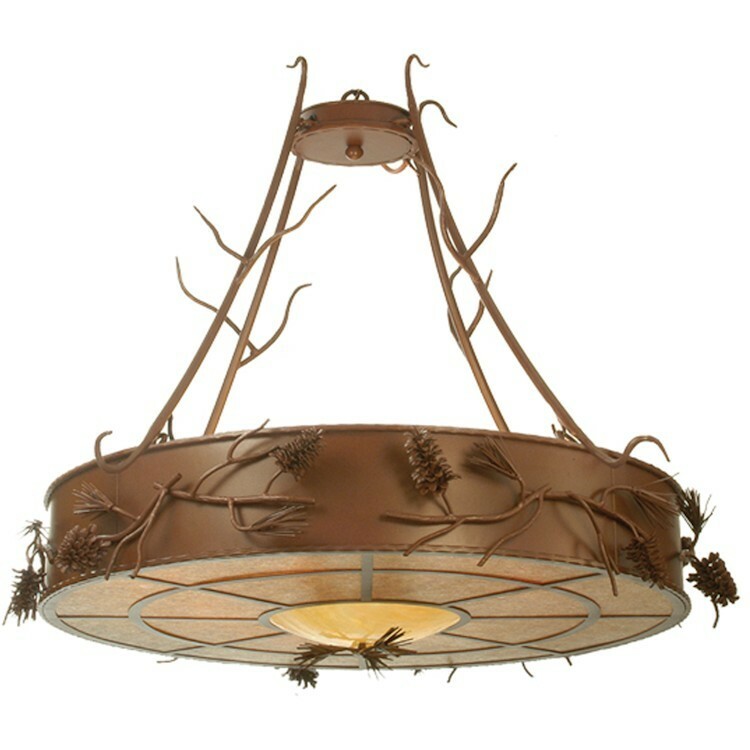 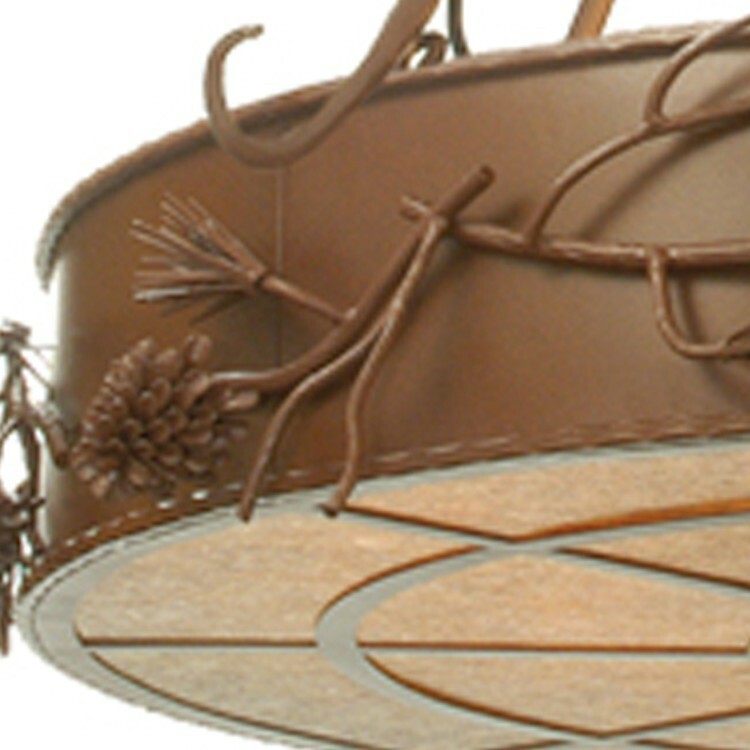 The impressive Woodland Pine Inverted Pendant Light, is inspired by nature and accented with cast pine cones and forged branches. 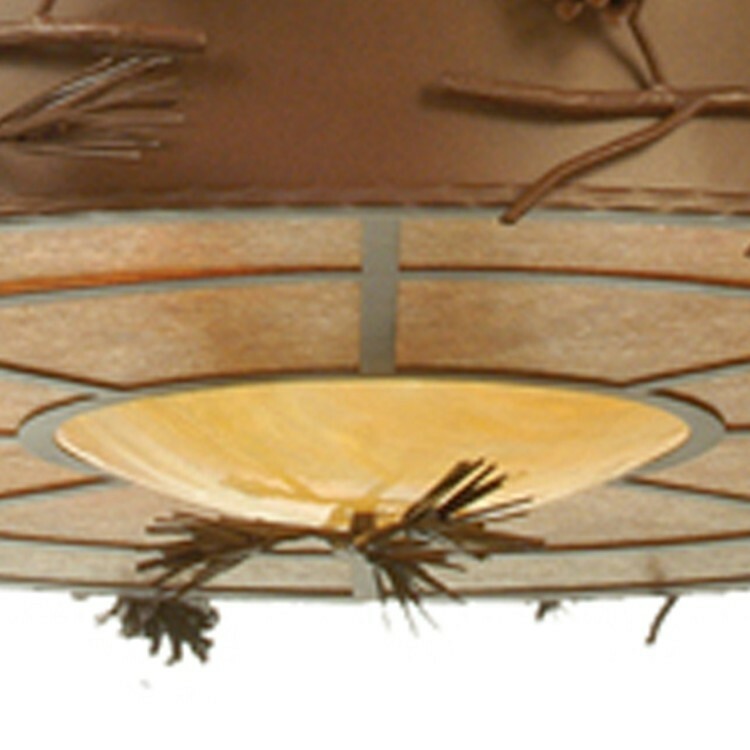 This hand crafted pendant light is finished in a natural rust., it features a round shade with amber mica panels, and a faux alabaster hub. Size: 58" W x Hanging Height of 53.25 - 83.25"